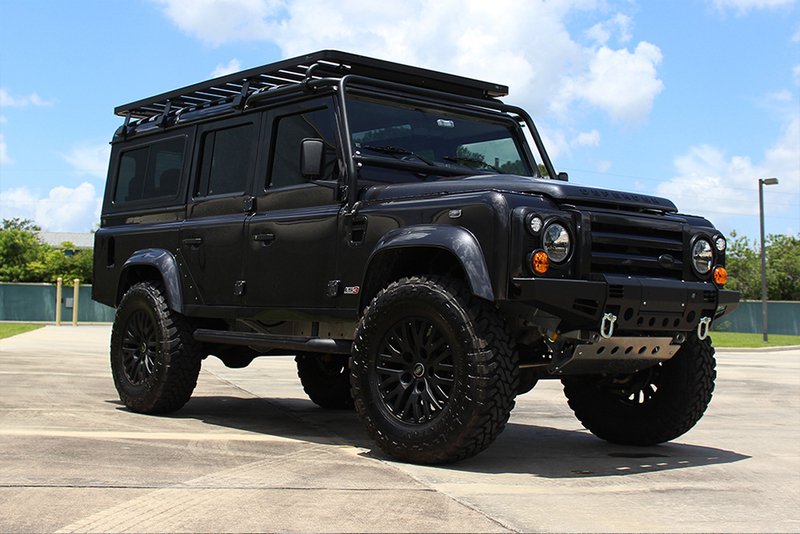 This Defender 110 Station Wagon came to us needed a little reconstructive love. It entered our shop looking worn out and left looking brand new and stunning! 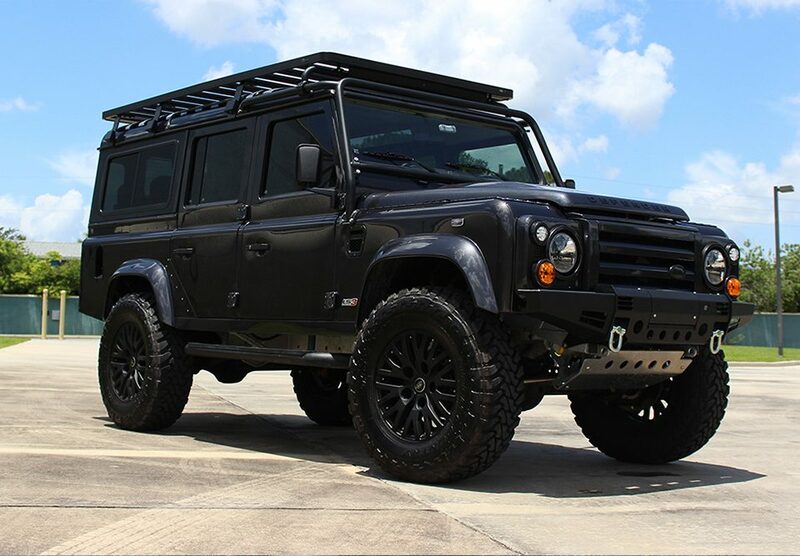 With minor service work done to the 200 TDI engine and update the brake system, this Land Rover Defender 110 received a full interior and exterior upgrade with replacing all door hinges, all rubber seals, the front bumper with an installation of an ARB Winch, and the mirrors. Along with the many replacements, we installed the rear tire carrier, wing top protectors, new exterior plastic, LED lights, cuddy box and Safety Devices roll cage. 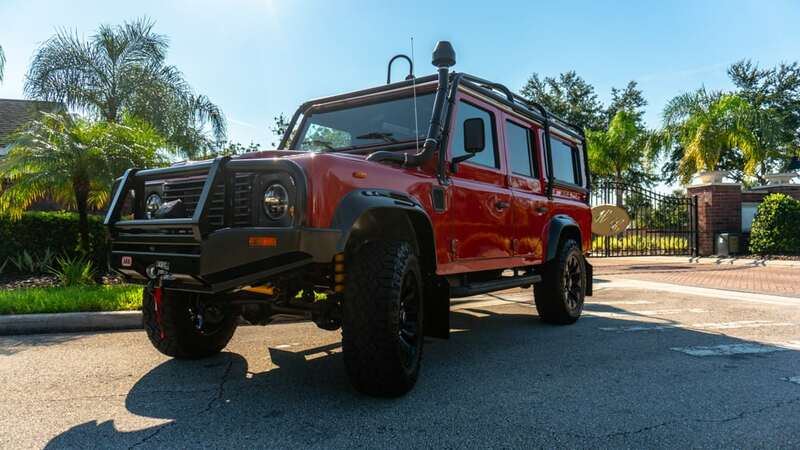 We also installed a new stereo system, so our customer can listen to their favorite music while cruising in Defender style. 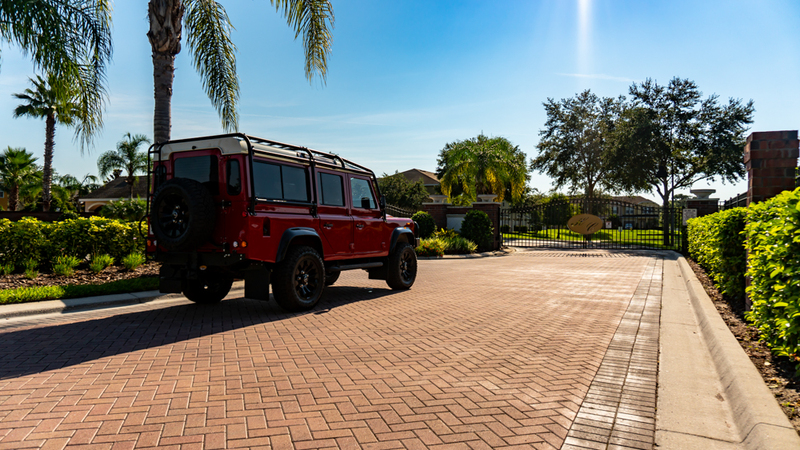 With an updated interior seating with distressed leather, a new headliner, rubber matting and trim, our customer is now driving comfortably in an updated Land Rover Defender that will be a loyal companion for a life time of memories.